Smartphones have revolutionized the way that the world works. A few decades ago, computers were clunky and required a decent degree of specialization to get the most out of them. With the mobile revolution, this is no longer the case, and now everyone has the combined breadth of human knowledge at their fingertips. Of course, a smart device wouldn’t be able to function without the apps that we use on them. Mobile app development is a field that has seen immense recent growth, and it is showing few signs of slowing down. 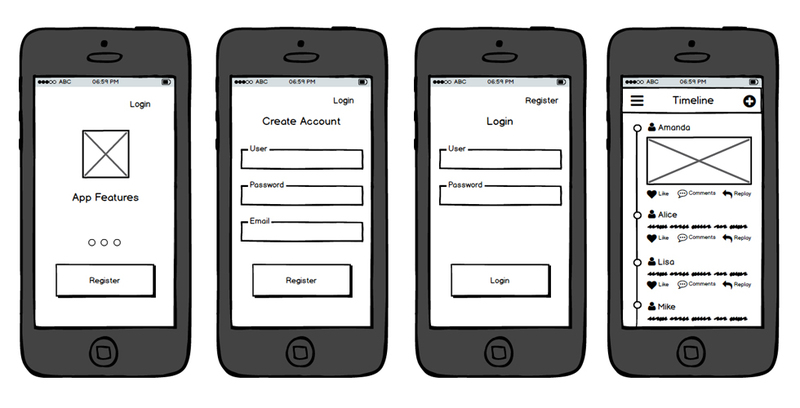 One of the most critical parts of the development process is mobile app wireframing. Wireframing is a process that consists of creating the foundation for a mobile app so that the rest of development can be accomplished smoothly. Think of an app’s wireframe as the skeleton that you use to simplify the process of creating it, so it is understandably one of the most critical parts of the development process. When you start wireframing an app, there are three things that you’ll need to do to ensure that you and your development team are ready to get started on development. The first step is sketching out your ideas, the second one is creating a mockup of the app, and the final stage consists of prototyping the app. Sketching is the most straightforward part of wireframing, and it is exactly what you would expect. You and your development team set up a simple monochrome sketch that will show what you want out of the app and how you plan to go about it. This is the foundation of the rest of the wireframing practice. Once you have your sketch, you will obviously want to add more detail to it so you can be sure that you and your team have a plan in mind. A common mistake is dev teams spending too much time working on the sketch of the app, but if you want to do things effectively, you should focus those efforts on the mockup. When you create an app mockup, you can start designing elements of the UI, and you can create a color diagram that gives you more information out of how the app will work. While the mockup won’t be a working app, it will provide you with a much more accurate idea of what the final product will look like. Finally, you’ll reach the prototype stage, which is essentially a pre-alpha build of your app that only you and your dev team will have access to. The prototype is when you start true development of the app, and when you reach the end of the phase, you should have many of the basic features of the app ready to go. As you can see, wireframing is integral to the production of a successful app, and it isn’t all that complicated. We hope that this guide has helped you understand the process better.